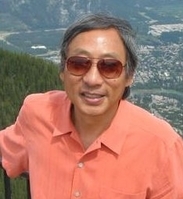 Paul Wang obtained his Ph.D. in Computer Science from the Massachusetts Institute of Technology in 1971. He became a professor of computer science at Kent State University in 1981. Currently, Paul is also a Director of Research of the Institute for Computational Mathematics at Kent State University. Before joining Kent State University in 1977, he was a computer science faculty at MIT. Paul is a leading computer scientist with national and international reputation. He has received over fifty research fundings from government agencies (NSF, NASA, DOE, ARO, DARPA, and Ohio Board of Regents) and industry. Paul has written nine computer science books and many research articles. He also has ample experience as an industry consultant offering expert advice and on-site training courses custom designed to meet client needs. At Kent he has graduated 10 Ph. D. and over 30 MS students; served many times as proposal reviewer and panelist for NSF and other funding agencies; He has been continuously funded for his projects to the tune of two or three projects a year. He was also the chairman of ACM/SIGSAM (1987-1991) and editor of ACM Transactions on Mathematical Software (TOMS, 1988-1990), editor of Journal of Symbolic Computation (2000-present), and program committee chair (International Symposium on Symbolic and Algebraic Computation (SAC), Maui, Hawaii, July 1997). Paul is also adopting Internet and Web related technologies for mathematical computing. With NSF support, he established SymbolicNet, a World-wide Web site for the SAC community. Currently he is active in research related to IAMC (Internet Accessible Mathematical Computation) and WME (Web-based Mathematics Education), He teaches ugrad and graduate courses on Web Design and Programming, C++, Java, OOP, Web Design and Programming I, II and Studio, and to train students in the new technologies. Sofpower is a sole proprietorship business. In 2000, Paul founded Webtong Inc. (webtong.com), a website development company, and serve as its president. In 2001, Paul received the Ohio Governor's Award for University Faculty Entrepreneurship.